Tiny homes. Rockin' communities where Jimmy Buffet is your spirit animal. Rockin' a strenuous hike minutes from home. Yeah, this is not your Grandfather's retirement. Long gone are the days when people packed it in and moved to a nice, calm little home for the aging in Florida the day they turn 65. Not only are people working longer today, but they are looking for more out of their retirement - more fun and excitement, more job opportunities, and more opportunity to hang out with family. If you're getting ready to retire, these are the trends you'll want to know about. And we're not just talking about weekly bingo. There is a wave of new retirement communities, most notably Jimmy Buffet's foray into a new career path, that cater to a much more active lifestyle. "It's easy to chuckle at news that a Margaritaville retirement community is coming to Florida (what better age for Parrotheads to pursue their day-drinking dreams? )," said Curbed. "But the billion-dollar community offers more of what today's and tomorrow's seniors really want: active, engaging, and walkable neighborhoods. 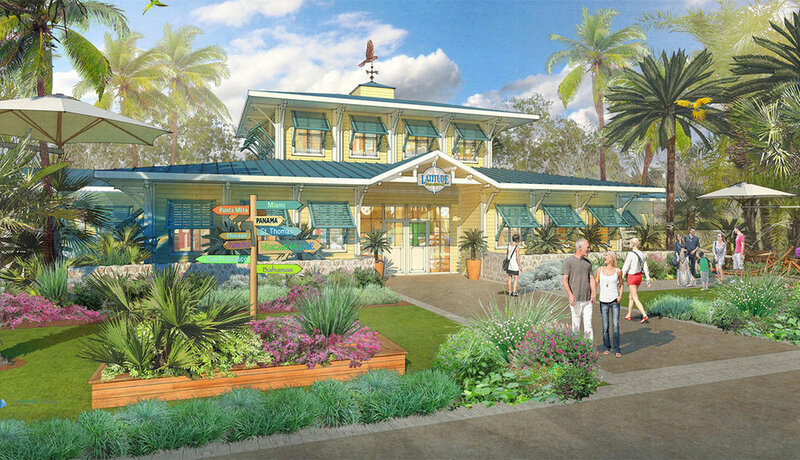 Latitude Margaritaville Daytona Beach has nine models open, with new homes priced from the $200,000s; the Hilton Head, SC location is in its first phase with prices from the mid $200,000s." Other developments, like the new $100 million-plus Rancho Mission Viejo in Orange County, CA is being developed "as an upscale mixed-generation development, with housing catering to older adults integrated into clusters of neighborhoods," they said. "Developments like New York's new community center for the Morningside Retirement & Health Services (MRHS) showcase a renewed focus on active, communal space. A cohousing development for seniors on Oakland's waterfront called Phoenix Commons has been compared to a ‘dorm for grownups.'" Mid-size and larger cities are becoming havens for retirees because, among other positive attributes, they offer thriving job markets. So why would that be important to someone who is getting ready to stop working? Because, increasingly, retirees aren't retiring all the way. Or, they're embarking on secondary careers, often part-time, post retirement. "74% of working Americans plan to work past retirement age, with 11% expecting to work full time and 63% expecting to work part-time," said The Street. U.S. New & World Report's 2018 list of the Best Places to Retire compared the top 100 metros for their potential as retirement spots, using data including housing affordability, taxes, and access to healthcare facilities. Their overall desirability and average levels of happiness were also key to the rankings. "Several cities in Texas made the top 10," while "three cities in the mid-Atlantic region are highly rated." You can see the entire list here. Multi-generational living is on one of real estate's fastest-growing trend. "In 1940, about one-quarter of the U.S. population lived with three or more generations in one home. After WWII, American families largely became two-generational, with parents and minor-age children under one roof," said Forbes. "The percentage of households with multiple generations started declining to 21%, reaching a low of 12% by 1980." According to Pew Research Center data, 60.6 million people, or 19 percent of the U.S. population, lived in multigenerational homes, including 26.9 million three-generation households." In fact, the trend is so pervasive today that builders are increasingly creating highly livable granny flats and tiny homes that can live on family land or in backyards. They're also building new construction homes like Lennar's Next Gen, which is billed as a "home within a home" and includes "all the features you'd expect in a separate unit (a kitchenette, single car garage and full bathroom) while giving you the freedom to pop in whenever you'd like," they said. "The choice of recreational activities is gradually shifting as the baby boomer generation heads into retirement," said U.S. News & World Report. "A recent study by the Physical Activity Council revealed some interesting findings. Activities that are increasing in popularity include camping, bicycling, hiking and canoeing. Activities that are decreasing in popularity include golf, swimming for fitness and working out using machines or weights." The AARP found that boomers are increasingly migrating to states "with mild climates and recreational options. "A newly released survey indicates that those who do move increasingly choose mountain and western states where they find a desirable combination of affordable housing, mild weather and outdoor recreational opportunities, such as skiing and hiking," they said. United Van Lines' National Movers Study found that the Mountain West region - which stretches from Arizona to Wyoming - attracted the "biggest influx of older people, with 24.5 percent of those moving citing retirement as a reason for relocating." That represents a strong shift from several decades ago "when older people mostly left northern states and headed southward. ‘We're seeing retirees being attracted to more outdoor adventure destinations than in the past." Another of today's top trends has retirees moving closer to family. For many grandparents, moving toward their children and grandchildren is "the last chance to focus on family and to leave a legacy of special memories," says Christine Crosby, editorial director of Grandmagazine," to Kiplinger.